Orange oil is an essential oil derived from the rind of the orange fruit. Compared to most essential oils, orange oil is extracted as one of the by-products of making orange juice, which results in a cold-pressed oil that is pre-distilled and ready for you to use. In addition to being a terrific additive to any homebrew beer or recipe, orange oil also has a variety of positive uses. Where Can You Find Orange Oil? Orange oil is used in a variety of household and beauty products due to its scent. Items such as lotions, shampoos, mouthwash, and facial cleansers often include citrus oil, and it can also be found in flavored sodas and juices, as well. What Are the Top 4 Positive Benefits of Orange Oil? Have you ever cut into an orange and noticed the fragrant aroma of the oils which get on your hands and any other items which may come into contact with the orange rind? That strong-smelling and tasting oil naturally leaks out of the rind and is distilled into essential oils during the extraction process. One of the most active ingredients in orange oil is limonene, which makes up approximately 85-95% of the orange oil extract, and myrcene, which makes up between 3-0.5% of the extract. Limonene is a powerful antioxidant and is used to reduce inflammation, ease anxiety, and a host of other positive benefits. As you can see, orange oil not only provides natural benefits to your hair and skin, but also has a variety of health benefits that make it a very useful oil. Orange oil is a versatile essential oil which can be applied in a number of circumstances, including for use with food and beverages, cleaning, air purification, and personal use, to name a few. Orange oil is a terrific additive for home brewers because it can add a distinctly citrus taste to beer. It can also be used as an additive to enhance the flavors in a cocktail, juices, and other fermented products. According to a 2009 study published in the International Journal of Food and Science Technology, orange oil was found to to prevent the spread of E. coli bacteria. E. coli is a dangerous form of bacteria which may be present in contaminated foods, including meat from beef and dairy cattle, as well as some vegetables. Another study published in the Journal of Food Science in 2008 concluded that the antimicrobial compounds in orange oil inhibit the spread of salmonella bacteria. Salmonella, which is commonly found in undercooked poultry, can cause serious gastrointestinal issues such as vomiting and diarrhea, as well as fever and other side effects. 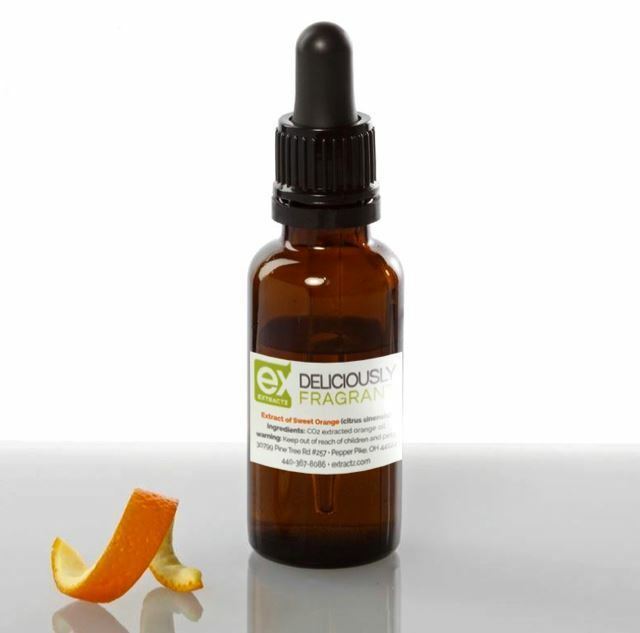 Order orange oil online or contact the extraction experts at Extractz at (440)367-8086.